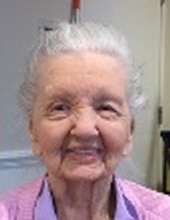 Danvers - Shirley M. (Jones-Smith) Jefferson 91, formerly of Beverly, wife of the late Alfred Jefferson, died Sunday, November 4, 2018 at the Hathorne Hill Healthcare Center in Danvers. Born and raised in Danvers, she was the daughter of the late George and Jenny (Barkowitz) Jones. She received her education in the Danvers school system. Mrs. Jefferson had been employed by GTE Sylvania in Danvers until the time of her marriage. Shirley moved to Beverly where she lived and raised her 4 sons, before moving to Bonita Springs, Florida in 1979. She returned to Beverly in 2004 where she had since resided. Shirley was a loving mother, grandmother, great grandmother and friend who will be missed by all who knew her. She is survived by her son, Lawrence Smith and his wife, Valerie of Beverly, seven grandchildren, Carley Findlen and her husband, Paul, Benjamin, Jeffrey, Thomas, Ian, Scott and Steven Smith, a great granddaughter, Cassidy Findlen and several nieces and nephews. She was also the mother of the late Richard, William and Steven Smith and sister of the late Barbara McLean and brother Richard Jones. Her funeral services will be private. Interment will be held in Naples, FL. Arrangements by the Campbell Funeral Home, 525 Cabot Street, Beverly. Online condolences at www.campbellfuneral.com. To send flowers or a remembrance gift to the family of Shirley M. Jefferson, please visit our Tribute Store. "Email Address" would like to share the life celebration of Shirley M. Jefferson. Click on the "link" to go to share a favorite memory or leave a condolence message for the family.